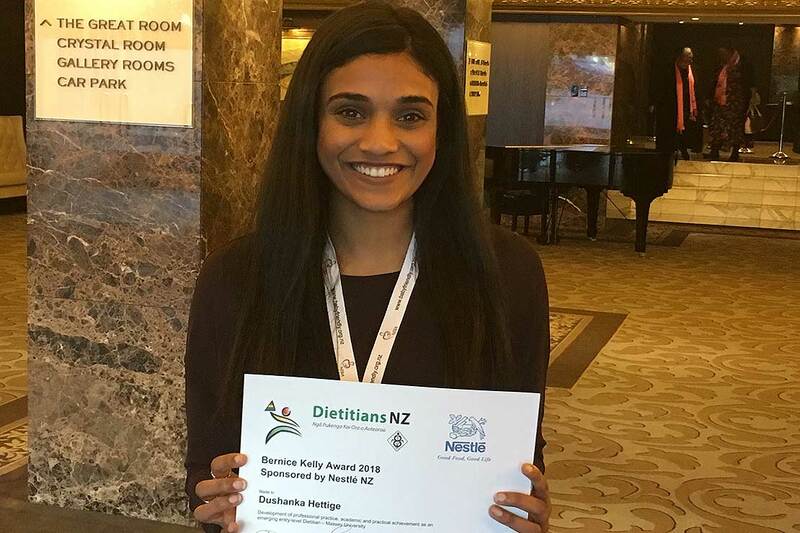 Bernice Kelly Award winner Dushanka Hettige has been recognised by Dietitians NZ. The award recognises accomplishments in academic, practical and professional practice within emerging entry-level dietitians. Born in Wellington, the former Newlands College pupil graduated with a Master of Science (Nutrition and Dietetics) from Massey University’s Auckland campus in 2018, after successfully finishing a Bachelor of Science in Human Nutrition at the Manawatū campus in 2016. “I have always had a great interest and passion in wanting to contribute to making a positive difference in the nutrition and health of our community. I look forward to the successes, challenges and future learnings in my career as a dietitian and I am grateful for all it has taught me so far,” Ms Hettige says. The 23-year-old, who now lives in Palmerston North and works as a clinical dietitian at the MidCentral District Health Board, also credits her close circle of friends and family for their continuous support and belief. 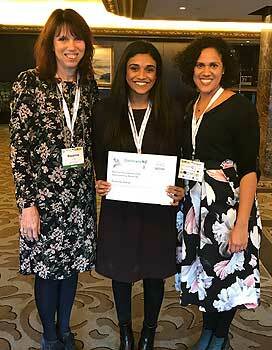 After receiving her award at the annual Dietitians New Zealand Conference which was held in Auckland last month, Ms Hettige presented her research, entitled The prevalence of nutrition risk and associated risk factors among older adults recently admitted to age-related residential care within the Waitemata District Health Board region. This is the second year in a row that a Massey University graduate has received the Bernice Kelly Award, after dietetics student Rachel Blair was awarded last year.